As is everything with the hotel, each bedroom is unique. 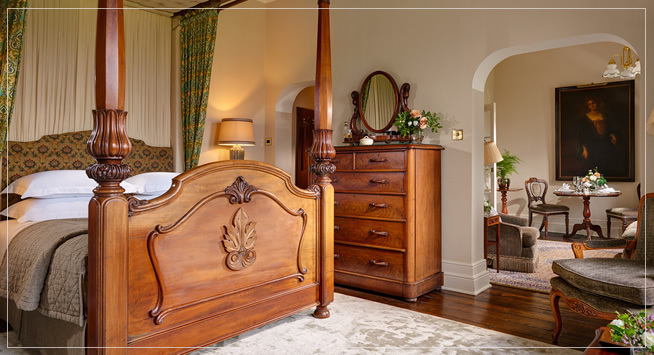 Luxury adorns each of the 46 bedrooms complemented by rich fabrics, original antiques, objets d’art and interesting art. As one guest commented “it is the only hotel I have ever stayed in that I would quite happily never leave my room.” Superior Rooms enjoy small sitting areas and are very comfortable for a short stay or guests travelling on their own on SÁMAS Solo programmes. 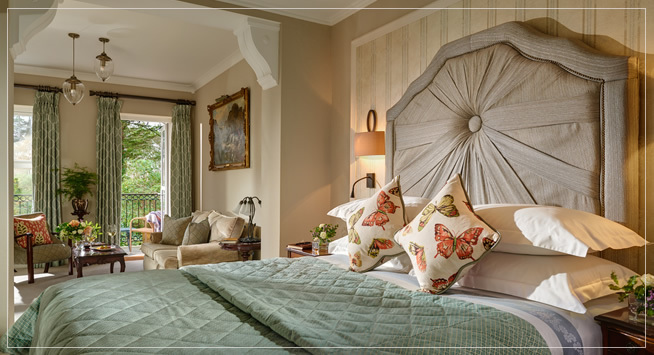 Our Deluxe Rooms overlook the water and have spacious sitting areas. This category is perfect for an extended stays and those celebrating a special occasion. Our Suites also enjoy water views and have dining and sitting areas in an open plan configuration. To book a room, please contact us on +353 (64) 664 1200 or email us via our Contact Form. 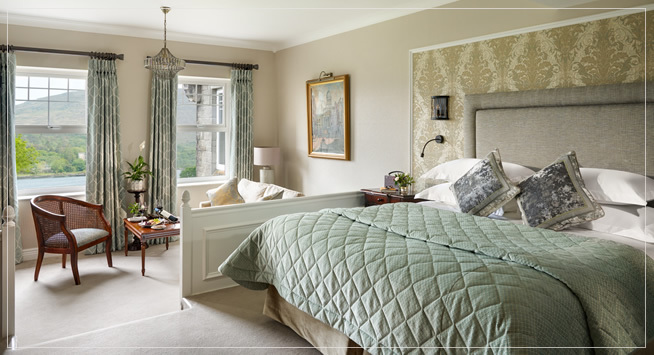 Cosy rooms overlooking the Gardens. Many have a private garden or balcony and are ideal for short stays and Sámas Solo guests. 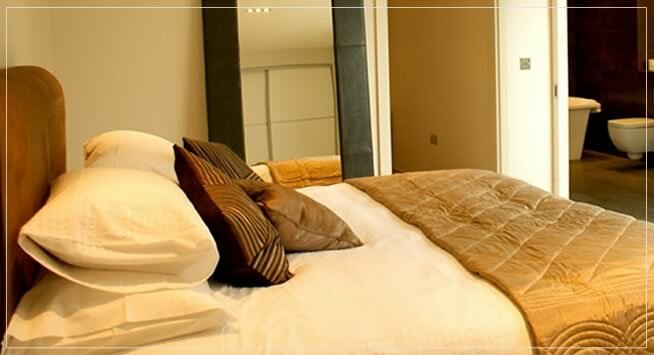 Please click ‘read more’ to view a full spec of our Superior Rooms.